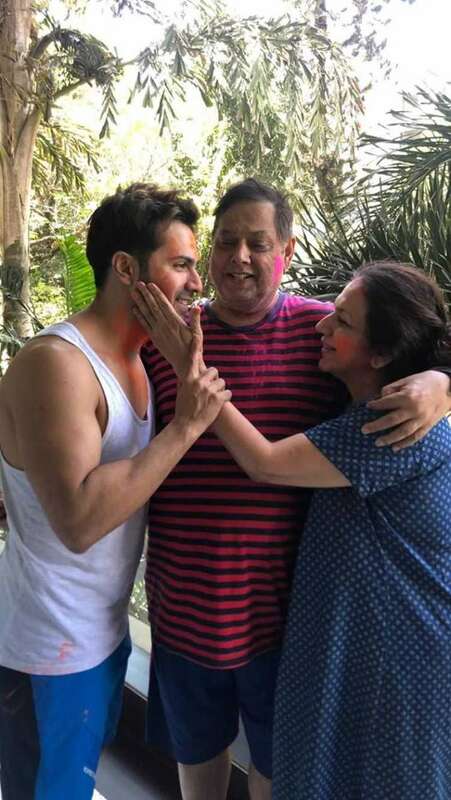 On the occasion of this joyous festival, Varun Dhawan also shared photos from his Holi celebration and it will surely leave you with a smile. As the festival of colors has arrived, people are busy enjoying it with full enthusiasm. From politicians to Bollywood stars, everyone gets indulged in this happy festivity with happiness. All-time glammed-up Bollywood stars celebrate it with many styles and fashion, inspiring all of us for a happy and gorgeous Holi. Since morning, the stars have been flooding the social media with wishes and photos for the fans. The countless happy messages of Holi along with the celebrations photos has made the internet even more colorful. 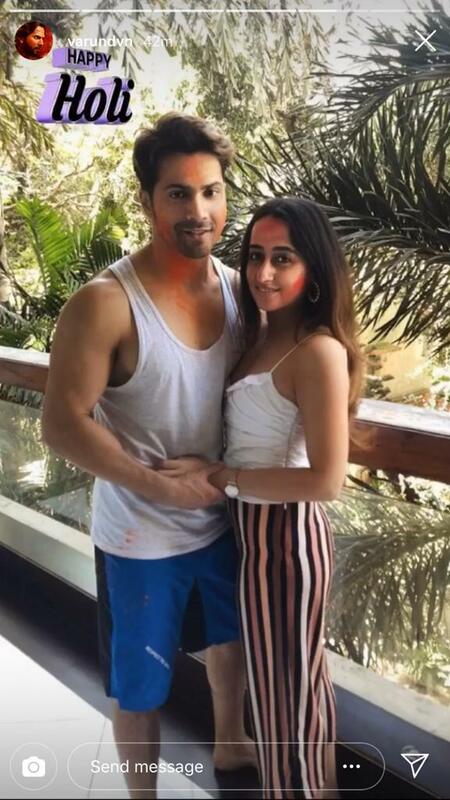 On the occasion of this joyous festival, Varun Dhawan also shared photos from his Holi celebration and it will surely leave you with a smile. 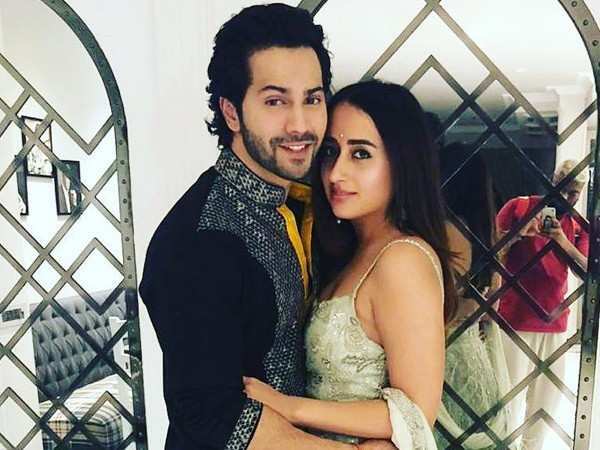 If rumors are to be believed, soon-to-be-married couple Varun Dhawan and Natasha Dalal lauded this happy festival with their family and close ones. The Bollywood hottie smeared his beloved long-time girlfriend with colors and the special moment was captured by the cameras. The Sui Dhaaga actor shared few glimpses from the special moments and left fans awestruck. In the first photo, Varun Dhawan can be seen posing with ladylove Natasha Dalal and the duo smile adorably! While Varun Dhawan can be seen only in his white vest, girlfriend Natasha is wearing a white top. The star also dropped other photos with his family, enjoying the occasion with utmost fervor. Posing with his father and mother, Varun Dhawan looks very cute. The intimate Holi bash of the hottie with his girlfriend Natasha Dalal present there could also be a possibility of the rumors of their marriage to be true. Yes! The Internet is surfaced by the hearsays that Varun Dhawan will soon be tying knots with Natasha Dalal, keeping it a secret and private affair. Varun’s beloved Natasha is a well-known fashion designer and the duo have been dating each other since years now. The couple even posed together in Diwali 2018 leaving fans spellbound as they looked perfect with each other. While Natasha looked stunning a white lehenga, Varun dazzled in a black sherwani. Here’s the photo, take a look! On the work front, Varun Dhawan would be hitting the silver screen soon with his upcoming movie Kalank. It will mark the fourth movie starring Varun Dhawan with Alia Bhatt. The multi starrer also features Madhuri Dixit, Sanjay Dutt, Aditya Roy Kapur, Sonakshi Sinha in lead roles. Here’s the official teaser of the much-awaited movie!